"Beauty is in the hand of the beerholder." - Anonymous. "Water is good for only two things: floating ships and making beer." - Anonymous. "Many battles have been fought and won by soldiers nourished on beer." - Frederick the Great. 8 Ways to Upgrade Your Beer to a Cocktail - The New York Times. 18 best beer gardens in London - The Telegraph. A Fight Is Brewing - "The creators of some of the most distinctive craft beers in the world are identical twins from Denmark who can’t stand each other. Jeppe Jarnit-Bjergso in Brooklyn. Mikkel Borg Bjergso in Copenhagen." Aeolus is the beer-from-fridge bot we’ve all been waiting for - The Verge. Airlines Aim to Trick Your Taste Buds at 30,000 Feet - "Finally, beer may start tasting good at 30,000 feet." BEER ADVOCATE - "Respect Beer." Beer is good for you! A pint a day could protect your heart - The Telegraph. BEER ME! 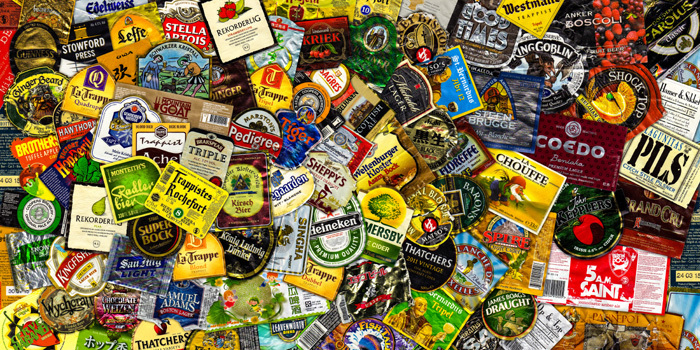 - the most complete source of brewery information worldwide: 26,247 beers from 11,152 breweries. BREWERS ASSOCIATION - organization of brewers, for brewers and by brewers. More than 1,000 US brewery members and 19,000 members. Brewie is back with version 2.0 of its automated homebrew machine - engadget. Brown Ales May Be Unfashionable, but the Style Is Timeless - The New York Times. countries that consume the most beer per capita - The Telegraph. How to look like you know more about beer than you really do - The Telegraph. How to open a beer bottle with a newspaper - The Telegraph. How well do you know the world's beers? - The Telegraph. Inflight beer: How brewers make craft beers for high altitude - CNN Business Traveller. instant BEER for hikers tastes impressive - Wired. KÖlsch - style of beer first brewed in Cologne, Germany. It is unusual because although it is warm fermented with ale yeast, it is then conditioned at cold temperatures like a lager. Kölsch has an original gravity between 11 and 16 degrees Plato (specific gravity of 1.044 to 1.065). In appearance, it is bright and clear with a straw-yellow hue. Microbrewery - brewery that produces small amounts of beer, typically much smaller than large-scale corporate breweries, and is independently owned. Such breweries are generally characterized by their emphasis on quality, flavor and brewing technique. PINTPRICE.COM - the price of beer in 206 countries. PlzeŇskÝ Prazdroj - Pilsner Urquell Brewery Museum. Pilsen, Czech Republic. "History lovers will be impressed by the model of the brewery from the 19th century, the brew house from the 1930s and the historical cellars, where Pilsner Urquell beer is still produced today using the same traditional method as during the era of the first brewer." Prost! 2017 Oktoberfest beer festival in Munich, in pictures - The Telegraph. Prost! Germany celebrates 500 years of beer purity law - The Telegraph. RATE BEER - the largest collection of beer reviews and used as an authoritative buying guide by consumers worldwide. Reinheitsgebot - (German, literally "purity order"), sometimes called the "German Beer Purity Law" in English, is the collective name for a series of regulations limiting the ingredients in beer in Germany and its predecessor states. The best-known version of the law was adopted in Bavaria in 1516, but similar regulations predate the Bavarian order, and modern regulations also significantly differ from the 1516 Bavarian version. S.P.B.W. | The Society for the Preservation of Beers from the Wood - established 1963. THE BREWERS OF EUROPE - "To equip Europe’s brewers with the tools to freely, cost-effectively and responsibly brew and market beer." the surprising health benefits of drinking beer - The Telegraph. Top 50 rated beers - RateBeer.com. Trappist beer - brewed by Trappist breweries. Eight monasteries — six in Belgium, one in the Netherlands and one in Austria — currently brew beer and sell it as Authentic Trappist Product. Two miles of beer: Bruges pipe dream becomes a reality - "Enough booze to fill 12,000 bottles an hour will soon be flowing in a pipeline under the medieval streets of the Belgian city." why craft beer lovers are falling for murky ales - The Guardian. Why the sound of New Year bells could make your beer taste sour - The Telegraph. WILLIAMS WARN PERSONAL BREWERY - "Personal Brewing Without Compromise." The first personal brewery in the world. Commercial quality beer in just 7 days. World Beer Awards - "Celebrating the world's best beers." WORLD BEER CUP - "The most prestigious beer competition in the world." ANHEUSER-BUSCH - the largest brewing company in the United States. The company operates 12 breweries in the United States and nearly 20 in other countries. ASAHI BEER - Japanese beer brand. Birra Menabrea - founded 1846. Italian brewing company located in Biella, Piedmont. BREWDOG - award winning Scottish brewery. BUDWEISER - "The Great American Lager." Made by Anheuser-Busch in the United States, was first marketed in 1876 as "Budweiser" in the United States and Canada. BUDWEISER BUDVAR BREWERY - founded in 1895. Best known for brewing a beer known as Budweiser Budvar in the European Union, Czechvar in the United States and Canada. CARLSBERG - Danish brewing company founded in 1847. 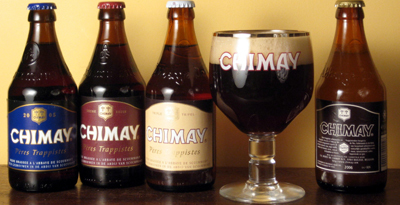 Chimay - since 1862. Beer brewery in Chimay, southern Hainaut, Belgium. One of the eight breweries worldwide that produce Trappist beer. COBRA - 1989. Main product is an extra-smooth premium beer with an alcohol strength of 5% volume. DOS EQUIS - since 1897. Mexican beer. The Most Interesting Man in the World-advertising campaign for the Dos Equis first began appearing in the United States in 2006. 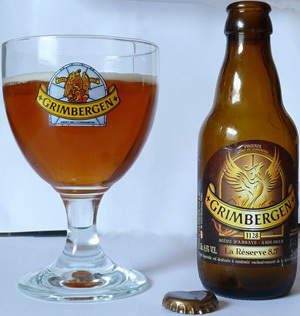 Grimbergen - first brewed in 1128. Group of Belgian abbey beers. The name refers to the abbey that Saint Norbert of Xanten built for the Premonstratensian (Norbertine) canons regular in Grimbergen. They became famous for providing hospitality and their home-brewed beer to visitors, and handed down the recipe over the centuries. The beers are now brewed by Alken Maes brewery group. IMPERIAL - since 1924. Costa Rican brand of beer. JACOBSEN VINTAGE NO. 3 - 15% vol., the world's most expensive beer: 270. Kirin Beer - since 1885. Sells two of the most popular beers in Japan: Kirin Lager, the country's oldest beer brand; and Ichiban Shibori. 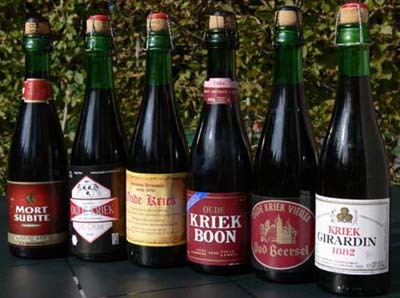 Kriek lambic - Belgian beer, made by fermenting lambic with sour Morello cherries. Kronenbourg Brewery - (Brasseries Kronenbourg) is a brewery founded in 1664 by Geronimus Hatt in Strasbourg (at the time a Free Imperial City of the Holy Roman Empire; now France) as the Hatt Brewery. The name comes from the area (Cronenbourg) where the brewery relocated in 1850. The company is owned by the Carlsberg Group. The main brand is Kronenbourg 1664, a 5.5% abv pale lager. MAGIC HAT BREWERY - recommended brew: Single Chair Ale. MILLER HIGH LIFE - put on the market in 1903 and is Miller Brewing's oldest brand. High Life is grouped under the pilsner category of beers and is 4.7% ABV. The prevailing slogan on current packaging is "The Champagne of Beers". OLDE ENGLISH 800 - brand of American malt liquor produced by the Miller Brewing Company. It was introduced in 1964 and owned by Miller Brewing Company since 1999. PILSNER URQUELL - bottom-fermented beer produced since 1842 in Pilsen, Bohemia. ROCHEFORT BREWERY - since 1595. SAMUEL SMITH OLD BREWERY - established in 1758. Samuel Smith's Ale is the favourite beer of the fictional Inspector Morse in the eponymous series of detective novels and tv series by British author Colin Dexter. SINK THE BISMARCK - world's Strongest beer at 41% ABV. Each bottle comes with a bottle stopper so you can reseal the beer and enjoy it over time. Westvleteren Brewery - Belgian brewery founded in 1838. 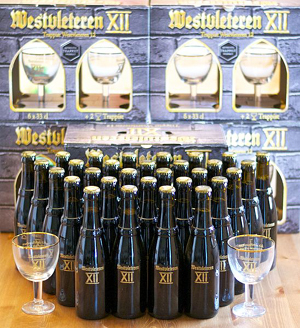 Its Westvleteren 12 (XII) rated "Best Beer in the World": 2013, 2012,2010,2007,2006,2003 & 2002. ŻYWIEC - since 1856. Polish medium-light bodied pilsner beer that is popular in Poland and gaining popularity in the United States and all over the world.